Technology company leaders are reportedly meeting with President-elect Donald Trump and members of his transition team tomorrow in New York. 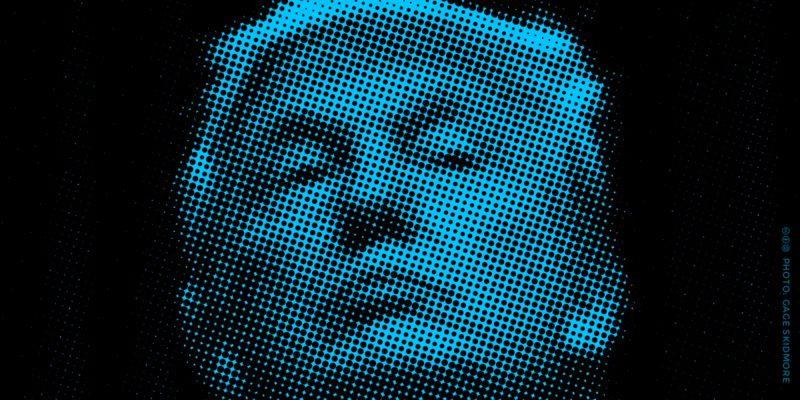 Mr. Trump’s relationship with technology companies has been frosty, and his statements during the campaign and recent cabinet picks raise serious concerns about the new administration’s commitment to protecting the digital rights of all Americans and fostering innovation. They also point to the deep need for Mr. Trump and his team to talk to those who represent the users of technologies, not just the companies that build and sell those technologies. Mr. Trump has criticized Apple for refusing to attack the security of the iPhone and says that fighting ISIS propaganda could require closing parts of the Internet. Users have a stake in each of these discussions, since they suffer when their technologies are insecure and when legitimate voices are censored. We urge tech leaders in attendance to press Mr. Trump on these topics, and let the president-elect know that they will stand with their users and the core values of privacy, security, freedom of speech, and transparency. First up: defend strong encryption. Tech leaders must explain to the transition team that it is technically impossible to design a "backdoor" that allows law enforcement access to devices and communications without compromising everyone’s security. EFF and the overwhelming majority of the tech community supported Apple when it correctly resisted FBI efforts to force its programmers to write and sign software code to bypass the lock screen of a seized iPhone. Not only would that weaken security for all users, it would also violate the Apple’s First Amendment rights by forcing it to endorse a position—favored by the government—that it disagrees with. Tech leaders should make it clear to Mr. Trump’s transition team that talk of building backdoors for law enforcement is a non-starter. Second, we urge tech leaders to voice their opposition to mass surveillance by the NSA. We’re deeply troubled by Mr. Trump’s cabinet picks, such as Senator Jeff Sessions and Representative Mike Pompeo, who have advocated the restoration of the expensive and useless mass telephone records surveillance under the Patriot Act. The program eviscerated the privacy rights of hundreds of millions of innocent Americans with no proof of a countervailing gain. This embrace of unconstitutional surveillance is particularly chilling given the historical misuse of domestic spying programs against political opponents. Sessions, Trump’s Attorney General pick, has also supported requiring companies to reduce the security they offer to their users to facilitate law enforcement access, and last year floated a proposal to allow federal agents wide access to online personal information without first obtaining a warrant. Meanwhile, Pompeo, Trump’s CIA director nominee, has called for reviving metadata collection and combining that “with publicly available financial and lifestyle information into a comprehensive, searchable database,” presumably including millions of innocent Americans. Third, industry leaders should push back against Mr. Trump’s attacks on free speech and Internet freedom. Requring social media companies to act as censors has the very real threat of going too far. Trump called those raising free speech concerns “foolish,” and he shouldn’t get away with that. Any speech-limiting practices and policies must be narrowly applied, transparent, and easily correctable, or they will inevitably be targets for gaming and harassment. Special care should be taken to protect researchers and speech that criticizes the government and its agents. Fourth, Trump opposes net neutrality, a key principle for protecting the future of our open Internet. Tech companies should stand with their users and urge the president-elect to preserve the FCC’s open Internet order and rules that prevent companies from using customers’ private information for profit. Finally, Trump has also talked about creating a database of some or all Muslims. He says he plans to round up and deport millions of illegal immigrants. Both of these will likely involve combing through databases of information about Americans that have been compiled for other purposes. If the Trump administration moves ahead with these plans, it will need Silicon Valley’s cooperation. Tech companies may face unprecedented demands to build such databases, or to search for, analyze, and hand over private data of and about their users. These companies hold our private conversations, thoughts, experiences, locations, photos, and more. All of this is vulnerable to misuse by a hostile administration. Tech companies must tell Trump that they won’t cooperate in building, or providing user information for, systems that enable discrimination, intolerance, or ethnic targeting forbidden by the Constitution. Many technology companies have already taken stands against previous government demands for user data, pushed for more transparency, and some have even gone to court to challenge law enforcement efforts to access customer data without a warrant or to fight gag orders. We've recommended that companies implement strategies to gather and store as little data as possible about their users so that when the government comes knocking, there’s nothing to give. Now’s the time to double down. We urge tech leaders to send a clear message to the Trump transition team that technology companies will not be agents of the government, especially when it comes to programs that defy the Constitution and violate our civil rights. Mr. Trump is famously unabashed in his use of social media to get his thoughts and messages out. He understands the power of technology to speak directly to users and communicate to a willing audience. Tech leaders need to be equally bold. They must stand up for all of the users of these tools and reject efforts to weaken the privacy and security that their users rely on. And users need a seat at this table. Mr. Trump, we’re waiting for your call. Or tweet.